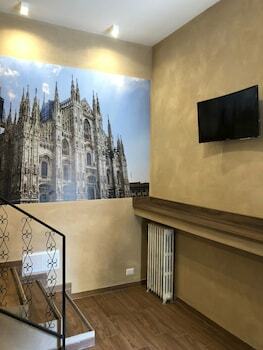 Property Location With a stay at Hotel Corallo in Milan, you'll be in the suburbs and convenient to Vittore Buzzi Children's Hospital and Fiera Milano City. 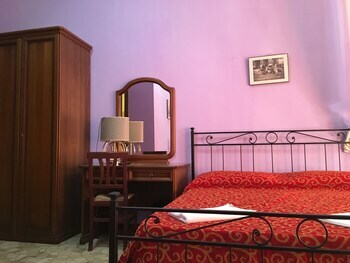 This hotel is within close proximity of Ex Campo dei Fiori and Velodromo Vigorelli.Rooms Make yourself at home in one of the 34 air-conditioned rooms featuring minibars. Complimentary wireless Internet access keeps you connected, and satellite programming is available for your entertainment. Private bathrooms have complimentary toiletries and bidets. Conveniences include phones and safes, and housekeeping is provided daily.Rec, Spa, Premium Amenities Make use of convenient amenities such as complimentary wireless Internet access, babysitting/childcare (surcharge), and a television in the lobby.Dining Take advantage of the hotel's room service (during limited hours). Quench your thirst with your favorite drink at a bar/lounge.Business, Other Amenities Featured amenities include a computer station, express check-in, and complimentary newspapers in the lobby. A roundtrip airport shuttle is provided for a surcharge (available on request). 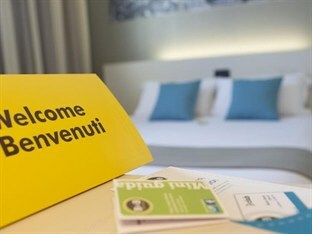 Property Location With a stay at Idea Hotel Milano San Siro in Milan, you'll be close to Boscoincitta and San Siro Stadium. 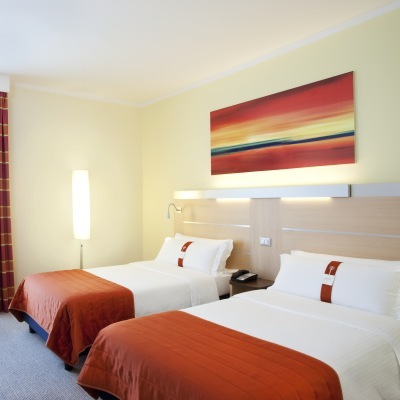 This 4-star hotel is within close proximity of San Carlo Borromeo Hospital and San Siro Race Course.Rooms Make yourself at home in one of the 234 air-conditioned guestrooms. Satellite television is provided for your entertainment. Bathrooms have bidets and hair dryers. Conveniences include safes and desks.Rec, Spa, Premium Amenities Take in the views from a garden and make use of amenities such as wireless Internet access (surcharge) and a television in the lobby. 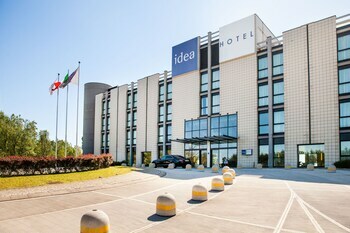 Guests can catch a ride to nearby destinations on the area shuttle (surcharge).Dining You can enjoy a meal at a restaurant serving the guests of Idea Hotel Milano San Siro, or stop in at a snack bar/deli. Quench your thirst with your favorite drink at a bar/lounge.Business, Other Amenities Featured amenities include a business center, dry cleaning/laundry services, and a 24-hour front desk. This hotel has 4 meeting rooms available for events. A roundtrip airport shuttle is provided for a surcharge (available on request), and self parking (subject to charges) is available onsite. 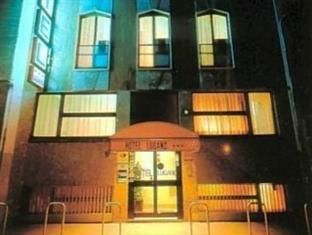 Property Location With a stay at B&B Hotel Milano San Siro in Milan, you'll be minutes from San Siro Stadium and close to Fiera Milano City. 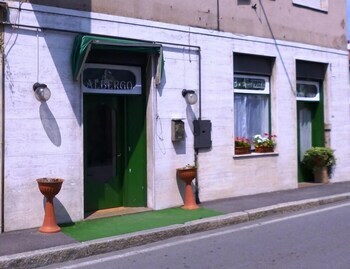 This hotel is within close proximity of San Siro Race Course and PalaSharp.Rooms Make yourself at home in one of the 149 air-conditioned rooms featuring flat-screen televisions. Complimentary wireless Internet access keeps you connected, and satellite programming is available for your entertainment. Bathrooms have showers and hair dryers. Conveniences include phones, as well as safes and desks.Dining Buffet breakfasts are available daily for a fee.Business, Other Amenities Featured amenities include express check-in, complimentary newspapers in the lobby, and luggage storage. Self parking (subject to charges) is available onsite. 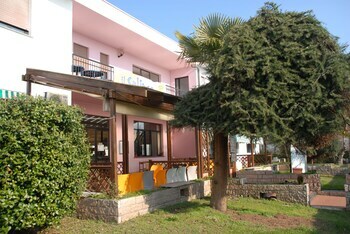 The Hotel Corallo Milanit is a three-star hotel where guests can find the welcome and comfort that meet their expectations. 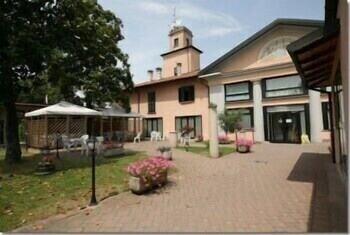 The requests and the needs of the working groups and touristic groups will be met with the best assistance and friendliness and will be able to find, in the surroundings, of the Hotel Corallo Milano, interesting places for cultural visits and shopping. You will have the opportunity to visit the exciting city of Milan during your stay at the Hotel Corallo Milano, as well as the most famous monuments of the city, including the Church of Santa Maria delle Grazie where Leonardo's Last Supper is located, the historic center that incorporates the most famous fashion district in the world, after those of Paris and New York, the Sforzesco Castle, symbol of the city of Milan together with the Duomo.From the date of: 31/08/2013 4 eur City tax per person per night, direct payment at the hotel (only people over 18 years old).From the date of: 01/12/2015 City Tax payable directly at the hotel. Property Location With a stay at Hotel Lugano, you'll be centrally located in Milan, convenient to Piscina Romano Ponzio and Corso Como. 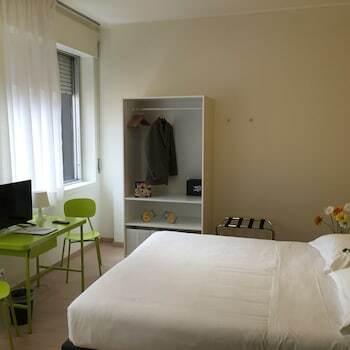 This hotel is within close proximity of Istituto Besta and Politecnico di Milano.Rooms Stay in one of 21 guestrooms featuring LCD televisions. Complimentary wireless Internet access keeps you connected, and satellite programming is available for your entertainment. Private bathrooms with showers feature complimentary toiletries and hair dryers. Conveniences include safes and desks, and housekeeping is provided daily.Rec, Spa, Premium Amenities Make use of convenient amenities such as complimentary wireless Internet access, a television in the lobby, and tour/ticket assistance.Dining Quench your thirst with your favorite drink at a bar/lounge. Buffet breakfasts are available daily for a fee.Business, Other Amenities Featured amenities include a computer station, express check-in, and express check-out.